As Zimbabweans celebrate Heroes Day today, almost all those buried at the national Heroes Acre are former Zanu PF members. While being conferred hero status comes with honorary prestige and possibly benefits for the remaining families, some of those declared national heroes died mysteriously. Several of the dead heroes buried at the national shrine died mysteriously, either in car bombs or accidents. The deaths have for years brewed murder theories with Zanu PF, as the party in which these leaders belonged, being fingered. An intruding scenario that has manifested itself throughout the deaths is that while some happened in the early 70s, they continued in the 90s and beyond. There were times when a similar pattern of occurring car accidents seemed too close to calculated murders. Others within Zanu PF or who have left the party have given glimpses in some of the murders and have actually accused the former liberation party of “eating their own”. The mysterious deaths in Zanu PF which have never been investigated or concluded include that of Hebert Chitepo, Josiah Tongogara, Moven Mahachi, Chris Ushehokunze, Sydney Malunga, Border Gezi and Elliot Manyika. A pattern seems to be in the offing as all the aforementioned politicians, ironically have been buried at the national shrine after being declared “national heroes” by Zanu PF. Josiah Tongogara, leader of Zanla, the military wing of Zanu during the guerrilla war that brought Robert Mugabe to power in 1980 died mysteriously on December 26, 1979. 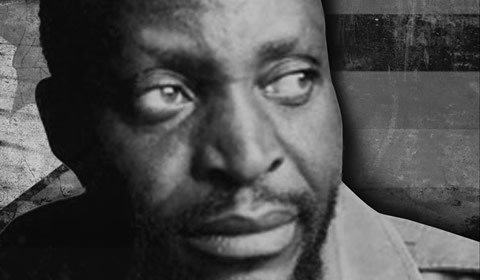 Tongogara’s death remains a mystery to this day. Oppah Muchinguri, Zanu PF women’s league chairperson has remained a key witness to Tongogara’s mysterious death as she was a passenger in the car which killed the veteran freedom fighter. Ian Smith in his book The Great Betrayal claims Tongogara was assassinated by the party (Zanu PF); Chief Jeremiah Chirau was murdered and so was Maurice Nyagumbo whose death was officially a suicide. On Maurice Nyagumbo’s death, officially a suicide, Smith says in the book published by a London publisher, “There was clear evidence, however, which pointed in a different direction. A vicious tribal infighting within Zanu PF was blamed for the assassination of party chairperson Herbert Chitepo in March 1975. Before 1973, Zanu PF was mainly seen as Manyika-dominated. Zezurus had been disgruntled by lack of control and formed their own party in 1971. After the 1973 controversial Zanu PF external elections, the results were interpreted by party officials to mean a Manyika defeat and a Karanga victory. Five out of eight Dare reChimurenga members were presumably Karangas. Karangas were accused of plotting Chitepo’s killing resulting in Tongogara and other Karangas being arrested over it. Prior to that in 1974, a group of militants led by Thomas Nhari had rebelled against Tongogara but were crushed in early 1975. Former Defence minister Moven Mahachi died aged 49, in a car crash on May 26, 2001. His bigger vehicle was reported to have collided with a smaller car as he travelled from Mutare to Nyanga after attending a Zanu PF Manicaland provincial meeting in his capacity as National Political Commissar. Enos Nkala, in interviews with the media alleges his successor as Defence minister, Mahachi was eliminated for his robust opposition to Zanu PF leadership’s unbridled looting of diamonds in the Democratic Republic of Congo. Nkala, formerly the minister of Finance, National Supplies, Home Affairs and of Defence was quoted as saying: “Moven was an outsider in an exclusive club — the Committee of 26 -— comprising politicians of Zezurus and Korekore origin.